Nicola of Riktr Pro Massage is a practicing licensed insured professional LMT (Licensed Massage Therapist) and fine artist based in Santa Barbara, CA. Nicola has a wide range of female and male clients, including athletes, professionals, housewives, artists, landscapers, out of town visitors, people who are retired and students. He is very flexible in scheduling appointments at his studio in Santa Barbara. You can also make appointments at Holistic Centers in Santa Barbara, Buellton, Key2Fitnessplus Nicola offers In or Outcall Mobile Massage in Santa Barbara, Ventura, Montecito, Carpinteria, Summerland, Goleta, San Ynez Valley, Buellton, Ca. Why is sports massage good for people who train with weights? Sports Massage seems to help this process along. Other studies have shown that treatments for sore muscles—such as ice baths and anti-inflammatory medications—can reduce inflammation. These tend to block muscle repair and growth. Massage, however, appears to not only make you feel better but also speed up muscle recovery. Massage therapy can help greatly after a good workout. Massage helps the body to recover by moving blood and oxygen and pushing toxins, such as lactic acid, out of the tissue to relieve the soreness. … Yes, deep muscle therapy done correctly will get the lactic acid out of your muscles. After a massage, wait about 24 hours before engaging in vigorous exercises, such as running or weight training. Exercising too soon after a massage session may impair recovery from the massage, increase soreness and inhibit the effectiveness of the soft tissue work performed during your massage. If you go to the gym regularly, you should get massages, often. Regular deep tissue massages are extremely beneficial to the average gym-goer, athlete or bodybuilder. Taking just a 30-45 minute body massage once every 3-4 months will keep your muscles in optimal working order. The increased and enhanced blood circulation helps to relieve muscle tension, reduce soreness and make for a faster recovery. … It means that massage can help pain relief, build muscles and encourage their recovery as well. Not only does massage feel good on the muscle tissues, it actually is good for them. Problems of Deep Tissue Massage. … According to the Mayo Clinic, deep tissue massage is a massage technique that uses slow forceful strokes to target deep layers of muscle and connective tissues. It is very helpful for people who suffer from recurrent and severe muscle tightening or who have muscle damage from injuries. Massage therapy has been widely used as an aid to reduce pain and promote recovery of injured muscles. Hypothesized effects of massage have included moderation of inflammation, improved blood flow, and reduced tissue stiffness, all contributing to pain reduction, the authors continued. Many practitioners believe that deep tissue massage releases toxins from the muscles and into the bloodstream. They assert that the water helps the kidneys and pancreas to process those toxins. … “To my knowledge, there is no solid base of research to support the notion that massage moves toxins out of the tissues. Lactic acid does not cause soreness and massage does not remove lactic acid. However, massage still makes our muscles feel good! Massage therapists are fond of saying that massage removes lactic acid from the muscles. We need to get up to date on this particular bit of physiology. Athletes have discovered that specially designed sports injury massage promotes flexibility, reduces fatigue, improves endurance, helps prevent injuries and prepares their body and mind for optimal performance. It is the position of the American Massage Therapy Association (AMTA) that those who participate in exercise programs, as well as athletes in training, can benefit from massage therapy. The main purpose of sports massage therapy is to help alleviate the stress and tension, which builds up in the body’s soft tissues during physical activity. The increased and enhanced blood circulation helps to relieve muscle tension, reduce soreness and make for a faster recovery. … It means that massage can help pain relief, build muscles and encourage their recovery as well. Not only does massage feel good in the muscle tissues, it actually is good for them. Many injuries are brought about by overusing certain muscles. This can result in soreness, pain, and inflammation. Regularly scheduled sports massages can help reduce the likelihood of the muscles becoming overused in the first place and can also help reduce the initial inflammation that leads to injury. Sports massage works deep in the muscles, realigning the muscle fibers and connective tissue, and flushing away the toxins. Regular sessions will increase joint mobility and flexibility, and reduce the risk of injury during exercise. Getting a massage before working out allows the muscles to get warmed up and stretched out. Receiving a massage after lets the body and muscles help relax a bit smoother and help with not being so sore. People would work out first, then get a massage. When you work out, your body releases lactic acid. Relaxation – Muscles relax through heat generated, circulation and stretching. Mechanoreceptors (A mechanoreceptor is a sensory receptor that responds to mechanical pressure or distortion. Normally there are four main types in glabrous mammalian skin: lamellar corpuscles, tactile corpuscles, Merkel nerve endings, and bulbous corpuscles). which sense touch, pressure, tissue length and warmth are stimulated causing a reflex relaxation. Sports massage therapy can help a person manage stress. When a person receives a sports massage, their body releases neurotransmitters called endorphins. According to American Spa, endorphins are released by two centers of the brain known as the pituitary gland and the hypothalamus, and they act as the body’s natural pain reliever. Endorphins that are released due to receiving a sports massage help to decrease anxiety, provide pain relief, improve mood and enhance a person’s state of well-being. Resistance training (also called strength training or weight training) is the use of resistance to muscular contraction to build the strength, anaerobic endurance, and size of skeletal muscles. Resistance training is any exercise that causes the muscles to contract against an external resistance with the expectation of increases in strength, tone, mass, and/or endurance. The external resistance can be dumbbells, rubber exercise tubing, your own body weight, bricks, bottles of water, or any other object that causes the muscles to contract. 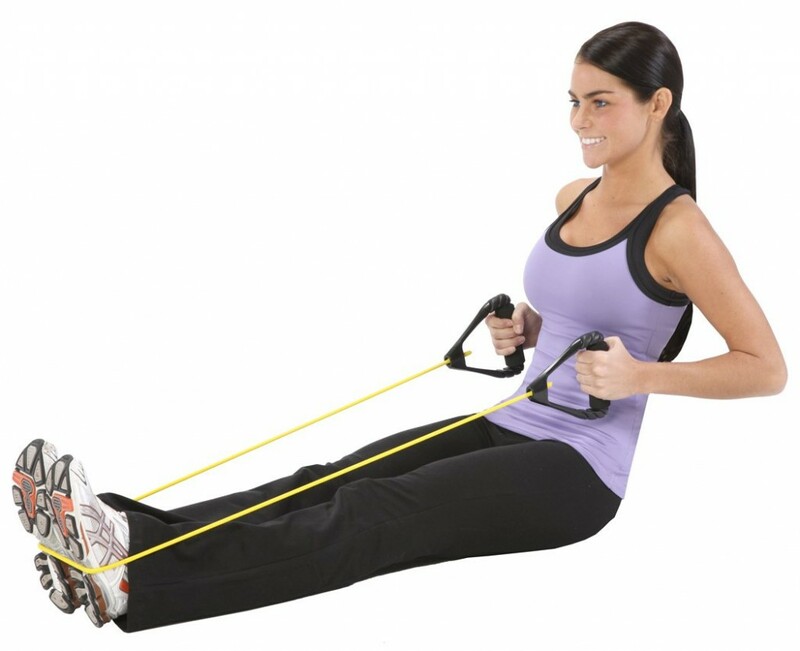 There are several styles of resistance exercise. There is (1) Olympic lifting (where athletes lift the weight overhead like you see in the Olympics), (2) powerlifting (a competition where athletes perform the squat, deadlift, and bench press), and (3) weight lifting (a sport where athletes lift heavy weights—typically fewer than six reps). 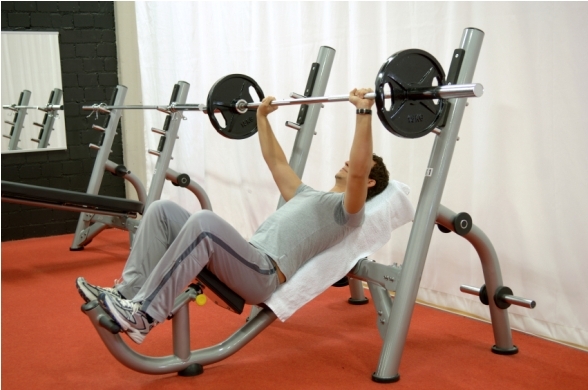 When you lift weights at the gym to get stronger or bigger or more toned, you are performing resistance exercise. Occasionally you will hear the term “strength training” associated with lifting weights. Technically, it’s incorrect to refer to resistance exercise as strength training. Instead, strength training would more accurately be described as resistance exercise that builds strength. In this article, the term resistance exercise will refer to the general type of weight lifting that you do in the gym to get bigger, stronger, more toned, or to increase your muscular endurance. A well-rounded fitness program includes strength training to improve bone, joint function, bone density, muscle, tendon and ligament strength, as well as aerobic exercise to improve your heart and lung fitness, flexibility and balance exercises. The Australian physical activity and sedentary behavior guidelines recommend that adults do muscle-strengthening activities on at least two days each week. If you vary your resistance training program through the number of repetitions and sets performed, exercises undertaken and weights used, you will maintain any strength gains you make. your own body weight – can be used for squats, push-ups, and chin-ups. Using your own body weight is convenient, especially when traveling or at work. Program – your overall fitness program is composed of various exercise types such as aerobic training, flexibility training, strength training and balance exercises. Weight – different weights or other types of resistance, for example, a 3 kg hand weight or fixed weight, body weight or rubber band will be used for different exercises during your strength training session. Exercise – a particular movement, for example, a calf-raise, is designed to strengthen a particular muscle or group of muscles. Repetitions or ‘reps’ – refer to the number of times you continuously repeat each exercise in a set. Set – is a group of repetitions performed without resting, for example, two sets of squats by 15 reps would mean you do 15 squats then rest muscles before doing another 15 squats. Rest – you need to rest between sets. Rest periods vary depending on the intensity of exercise being undertaken. Variety – switching around your workout routine, such as regularly introducing new exercises, challenges your muscles and forces them to adapt and strengthen. Progressive overload principle – to continue to gain benefits, strength training activities need to be done to the point where it’s hard for you to do another repetition. The aim is to use an appropriate weight or resistant force that will challenge you while maintaining good technique. Also, regular adjustments to the training variables such as frequency, duration, exercises for each muscle group, number of exercises for each muscle group, sets and repetitions, help to make sure you progress and improve. Recovery – muscle needs time to repair and adapt after a workout. A good rule of thumb is to rest the muscle group for up to 48 hours before working for the same muscle group again. Print a copy of the Adult pre-exercise screening tool from Fitness Australia and discuss it with your doctor, allied health or exercise professional. The Australian Physical activity and sedentary behavior guidelines recommend that you do things to strengthen your muscles at least two days a week. These activities should work all the major muscle groups of your body (legs, hips, back, chest, abdomen, shoulders, and arms). It is important to pay attention to safety and good form to reduce the risk of injury. A registered exercise professional can help you develop a safe, effective program. beginning with one set of each exercise, comprising as few as eight repetitions (reps), no more than twice a week. Your aim is to gradually increase to two to three sets for each exercise – comprising eight to 12 reps, every second or third day. Once you can comfortably do 12 reps of an exercise, you should look at progressing further. Before doing your strength training exercises, you need to warm up. Start with light aerobic exercise (such as walking, cycling or rowing) for about five minutes, and a few dynamic stretches. Dynamic stretching involves slow controlled movements through the full range of motion. To get the most gain from resistance training, you need to progressively increase the intensity of your training, according to your experience and training goals. This may mean increasing the weight, changing the duration of the contraction, reducing rest time or increasing the volume of training. Once you’ve been doing resistance training regularly for several weeks, you can progressively increase the intensity of your training as your muscles adapt. Research suggests that expert supervision may improve your results. The best way to develop muscle strength is for the muscle to contract to its maximum potential at any given time – maximal voluntary contraction (MVC). In resistance training, MVC is measured by the term XRM, where RM is the maximum number of repetitions that can be completed with a given resistance or weight. X is the number of times a certain weight can be lifted before the muscle fatigues. It is the RM range that determines what type of improvements the muscles will make. The optimal range for improving muscle strength is 8–12 RM for a beginner and 2–6 RM for the more advanced. For example, the formula 7RM means the person can lift the weight (let’s say 50 kg) seven times before the muscles are too fatigued to continue. Higher weights mean lower RM – for example, the same person could possibly lift a 65 kg weight, but less than seven times. Lower weights typically result in a higher RM – for example, the same person could lift a 35 kg weight about 12 times before muscle fatigue sets in. MVC principles can help you gain the most benefit from your workouts. The principles of strength training involve manipulation of the number of repetitions (reps), sets, tempo, exercises and force to overload a group of muscles and produce the desired change in strength, endurance, size or shape. muscle endurance – 15 to 20 or more RM per set, controlled. Muscle needs time to repair and grow after a workout. Neglecting to give your muscles enough time to recover means they will not get bigger or stronger. A good rule of thumb is to rest the muscle group for at least 48 hours. Once you have sufficient experience in resistance training, and with the support of a qualified allied health or exercise professional, you might like to consider a split program. For example, you could work your upper body on Mondays and Fridays, and your lower body on Wednesdays and Sundays. Most beginners experience a rapid increase in strength, followed by a plateau or leveling-out of strength improvements. After that, gains in muscle strength and size are hard earned. When you start resistance training, most of your initial increase in strength is due to a phenomenon called ‘neural adaptation’. This means that the nerves servicing the muscles change their behavior. The nerves are thought to ‘fire’ more frequently (prompting increased muscle contraction) and more motor units are recruited to perform the contraction (a motor unit is the nerve cell and its associated muscle fibers). This means you become stronger, but the muscles remain the same size – you’ve hit the plateau. In time, muscle cells respond to continuous resistance training by increasing in size (hypertrophy), so don’t be discouraged by reaching the plateau – it is actually an encouraging sign that gains in muscle size are soon to follow. Various techniques may help you shorten the plateau period. Varying your workouts can help you push past a plateau. The theory of variation is that you can coax growth and strength from your muscles by surprising them with a range of different stresses. The muscles will respond in size and strength as they are forced to adapt. Increase your workout by 10 or 15 minutes. Increase the frequency of workouts, keeping in mind that each muscle needs at least 48 hours of recovery time. Once you are more experienced, you may like to consider splitting body parts over the different days of the week – for example, chest, shoulders, and triceps in session one, back, biceps and abdominal muscles in session two, and legs in session three. Switch to different exercises – for example, focus on exercises that use multiple muscle groups and that are functional or specific in nature, meaning that they relate to activities of daily living or sporting requirements. Increase the weight by about five to 10 percent. Cross-train with other activities such as swimming or running. Change your workout about every four to eight weeks to keep your muscles guessing. Resistance training increases muscle strength by making your muscles work against a weight or force. Different forms of resistance training include free weights, weight machines, resistance bands and your own body weight. A beginner needs to train two or three times per week to gain the maximum benefit. Complete the Adult pre-exercise screening tool and consult with professionals, such as your doctor, exercise physiologist, physiotherapist or registered exercise professional, before you start a new fitness program. Rest each muscle group for at least 48 hours to maximize gains in strength and size. Varying your workouts can help you push past a training plateau.